EVLution nutrition (EVL Nutrition) was one of the biggest break-out brands back in 2014, introduced by former BMX star and current “get-sh!t-done-expert” Mike Spinner. 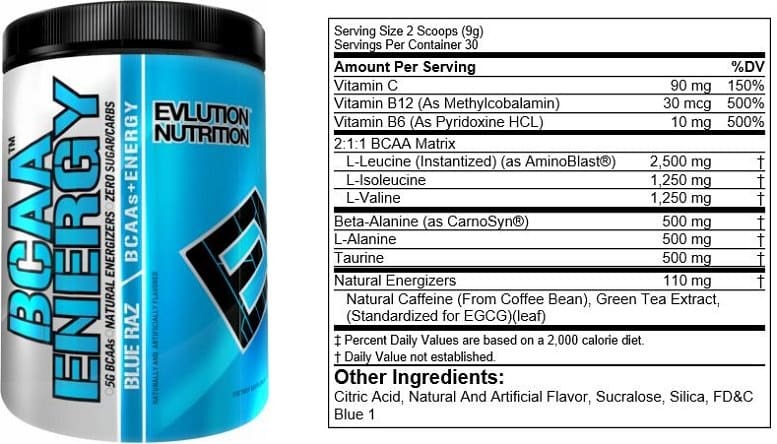 Since its initial inception with 5 products, EVL Nutrition has now expanded to two dozen plus products. Of these, there are 4 different BCAA products: BCAA 5000, BCAA Energy, Lean BCAA, and Amino-10. Here, we are going to compare EVL Nutrition’s BCAA supplements to give you a better idea of how they differ, which one fits your needs, and how to take them. Afterwards, we highly recommend you enjoy our top 10 Best BCAA Supplements to see which branch chain amino acid supplements are our favorites. Compared to other products, the price point for EVL BCAA 5000 is very attractive. On good sales, you can get BCAA 5000 for as little as $20 for 60 servings! However, there are two things to consider. First and foremost, if you are a bodybuilder – 5,000 mg per serving is not going to be a big enough dose to make a reasonable impact. Rather, you are going to want to consider doubling up per serving. Second, this product utilizes artificial dyes and sweeteners. While to the masses, artificial ingredients are a way of life – there are dieters, athletes, and bodybuilders at the top of the game that know these artificial ingredients can add up in products and negatively affect the body. With that being said, is it really important that your drink is blue and not clear? Besides these two points – EVL BCAA 5000 is a good product. It tastes fantastic, comes in at a good price point even when taking double servings, and is readily available online and in stores. With these ingredients, primarily the caffeine and green tea, BCAA Energy will definitely give you an energy boost. It won’t be as intense as the most popular pre workouts. But, if you do not supplement with stimulants often – it will be very noticeable. BCAA Energy will definitely provide energy, but, again we would suggest considering a double-dose to get a more clinically relevant serving of BCAAs. Likewise, you shouldn’t expect much out of the 500 mg of Beta-alanine as clinical evidence of effectiveness is only documented at 3,000 mg plus servings (6X). L-alanine and taurine on the other hand may have slight energy advantages – aside from flavoring enhancement. LEAN BCAA is EVL Nutrition’s solution to maintaining muscle while fasting and promoting additional fat loss. Like with BCAA 5000, we again recommend that you consider double dosing to get a more effective serving size of BCAAs. By doing so, you will also boost your CLA to a more proper 2,000 mg and the same with L-Carnitine. In general, LEAN BCAA really does not variate far from the baseline BCAA 5000. We can see this product being most applicable to people that want intra-workout BCAA nourishment while dieting, want to stay leaner while building, or simply want the energy benefits of BCAAs while doing cardio without the effects of caffeine. 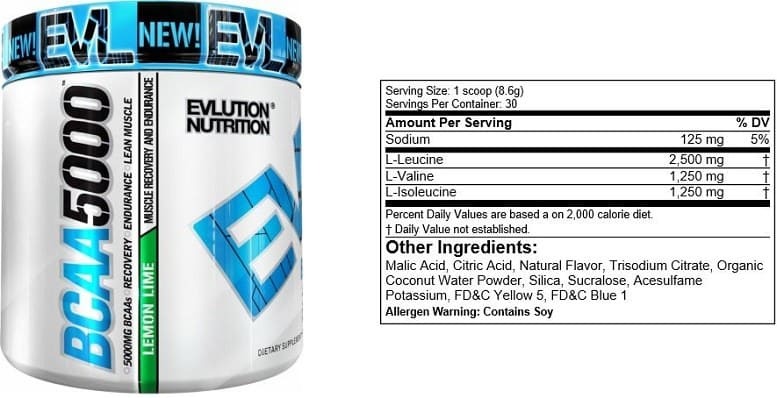 As a whole, considering the price point this isn’t a bad product besides the artificial sweeteners and dyes present in all other EVL Nutrition BCAA products. Amino-10 is the flagship BCAA product produced by EVL Nutrition. 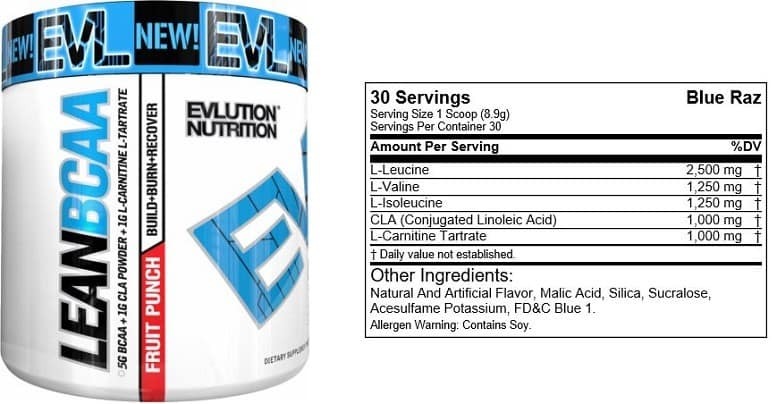 This version, is one of EVL Nutrition’s first 5 products introduced in their end of 2013 debut. 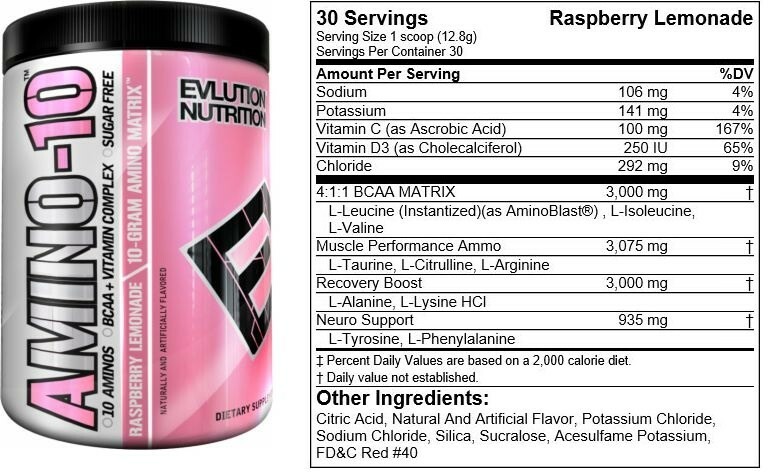 Inside EVL Amino-10 you will find 3 grams of BCAAs, along with a collection of non-essential amino acids. Like the other BCAA products made by EVL, we suggest considering the double-dose if you are a proper sized bodybuilder. Quite frankly, 3 grams of BCAAs isn’t going to be a results changing dose. But, 6 grams could make an impact – plus the energy benefits of all those non-essential amino acids that will be used quickly for metabolism and point-repair. EVL Nutrition has done a good job supplying the bodybuilding industry with great tasting, affordable BCAA supplements. While we don’t like the artificial sweeteners or dyes – price never lies. Being able to double-dose these products and get massive BCAA servings at a still moderate price is a big deal. The additional ingredients in LEAN BCAA and BCAA Energy are comforting additions, but really, little effect is to be added. Though, for the price point there is also very little loss in trying them out. So, LEAN BCAA – very little difference to BCAA 500; and BCAA Energy – essentially BCAA 5000 with caffeine (and may actually burn more fat than LEAN BCAA). This concludes our comparison. We invite you to join the discussion below if you have any questions about EVL Nutrition BCAA supplements, or have tried them. We always welcome your personal reviews. If you have questions regarding different topics, we recommend that you first search the site for your topic before asking here, as we have 200+ articles here and most likely have you covered!